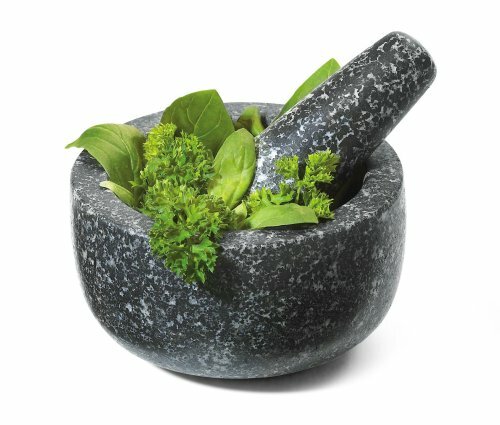 Fresco's Small, Granite Mortar and Pestle is hard wearing and sculpted fromnatural granite and will last for generations to come. Designed to fit yourkitchen and lifestyle, this premium quality granite mortar is heavy, wellbalanced and suitable for rigorous pounding and grinding. More than justdurable, granite's non-porous quality allows for extracting the oils fromherbs and spices without these oils being absorbed into the stone. This, plusthe polished finish allows for easy and quick clean up.